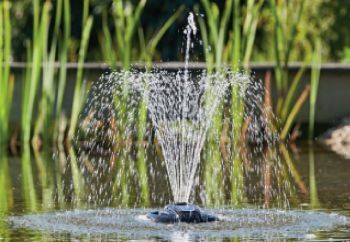 The OASE IceFree 4 Seasons offers a practical function all year round in your pond. During the summer months the unit acts as a small floating fountain and during winter months the unit operates as an low energy ice preventer. 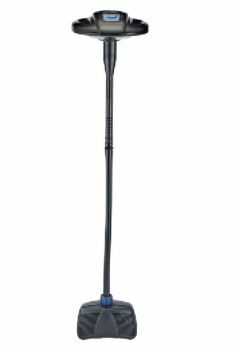 A great alternative to traditional pond ice preventers which rely on heated elements, the IceFree 4 Seasons consumes only 5 watts of energy compared to 200+ watts for a similar operating heated ice preventer. In summer months, the IceFree 4 Seasons will deliver a two tiered multi-jet fountain effect reaching up to 75cm in height. There is also the option of a water bell effect too. 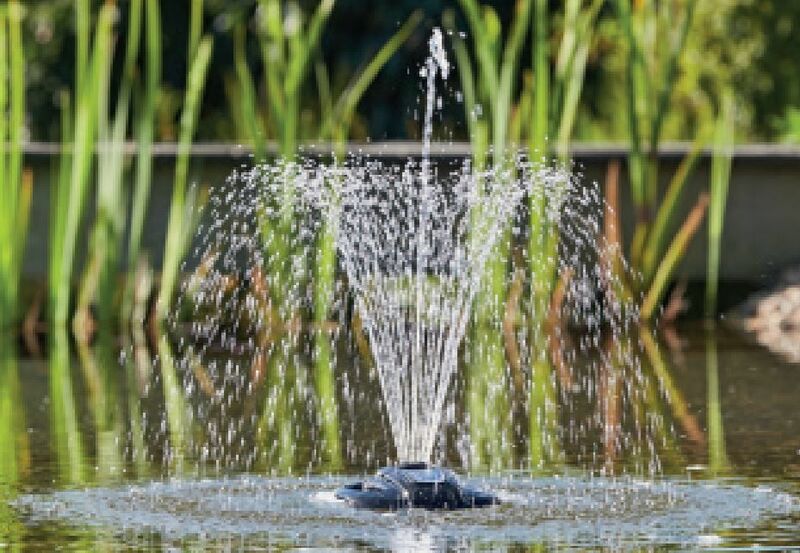 During winter months, the pump will draw warmer water from the depth of the pond and displace it at the surface, melting and preventing ice from forming in the area around the unit. Preventing full surface freezing during the winter is especially important as the layer of ice prevents gas exchange from taking place. Oxygen will be locked out of the pond and fermentation gases are trapped within. These fermentation gases can become toxic to the fish and need purging naturally from the water continuously.